Ole Kirk Christiansen was a Danish carpenter and creator of one of the most beloved children’s toy companies of all time, LEGO. He was born in 1891 in the village of Filskovand, Denmark and was the tenth child of Jens Niels Christiansen and Kirstine Christiansen. His family was quite poor but Ole managed to get a basic high school education. In 1905, at the age of 14, Ole was apprenticed to his older brother Kristian to learn carpentry. He left Denmark in 1911 and worked in Germany and Denmark as a carpenter for five years. In 1916, Ole returned to Denmark and used his savings to buy ” The Billund Carpentry Shop and Lumberyard”. He also got married around the same time to Kirstine Sorensen, the daughter of a cheese maker from Norway. The couple had 4 children; Johannes, Karl, Godtfred and Gerhardt. Kirstine died after the birth of the fourth child which left Ole with four children to raise on his own. In 1924, while Karl and Godtfred were playing with some wood shavings, they accidentally set fire to the workshop as a result of which the factory and house both burned down. Ole drew up plans to rebuild both and moved his family into one room, while renting out the others. During the 1930’s, the Great Depression was at its peak in Denmark and Ole’s business felt the pinch as well. He began to make small, affordable, wooden household products such as ladders, ironing boards, stools, Christmas tree stands and toys. Ole noted that toy production was by far the most popular. Godtfred joined in his father’s business and together they produced many different toy designs such as vehicles, ferries, airplanes and buses. The toys were made with high quality birch wood and painted, finished and packaged beautifully which earned Ole a good reputation and steady profits. Ole believed in always delivering the best quality, and he passed this value on to his sons and employees. His son Godtfred carved and displayed a sign on the factory floor, which read “Only the best is worthy”. 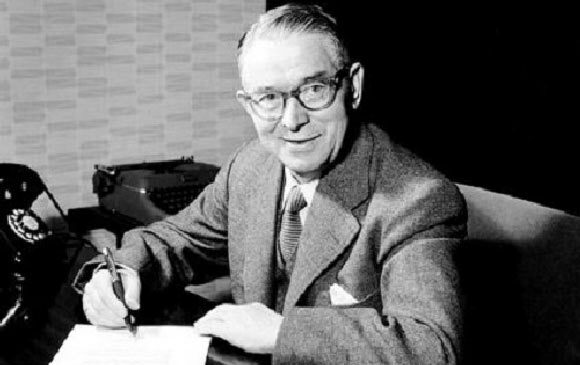 As the company began to focus solely on toy production, Ole held a contest amongst his employees to decide on a name for the company. Eventually he chose “LEGO” from the Danish words “LEg GOdt” that mean “play well”. Coincidentally, it also means “put together” in Latin. The LEGO company initially manufactured wooden toys, and one of its bestselling toys in the 1930s was a pull along duck. Ole would draw up a design guide for his employees to follow. By the mid 1930s the company had 42 different product ranges, which were expensive but popular. The company was registered in 1944. In 1947, Ole Kirk Christiansen purchased an injection-molding machine in order to mass produce plastic self-locking building blocks based on the model of Kiddicraft, a British toy manufacturer. This machine cost 30,000 crowns, which was an immense amount of money. The company now manufactured both wooden and plastic toys with over 200 models to their name and eventually turned solely to plastic toys. All of Ole’s sons were running the business with him; Godtfred was the managing director and became CEO after his father, Karl was the director of plastics production and Gerhardt was the director of wood products manufacturing. The modern version of the LEGO building block was patented in 1958, the same year that Ole died. Ole’s legacy lives on in the toys beloved by millions of children around the world. LEGO toys are made and/or sold in more than 130 countries worldwide. From its humble beginnings in 1930’s Depression era Denmark, the company has now become a globally recognized brand with amusement parks, video games and numerous other ventures under its umbrella. The LEGO Group is still privately owned and mostly run by the Christiansen family.